When I first heard about the free Windows 10 upgrade, I was baffled. Baffled that Microsoft would offer a major Windows upgrade free of charge to a majority of their consumers. I got even more excited when I had the option to "reserve" my copy of Windows 10. For some background, prior to the Windows 10 upgrade, I'm was using an Acer Aspire S7 with a 13.3" touch screen laptop running Windows 8. I occasionally used the touch screen when browsing, but otherwise the touch screen was rarely used. I didn't really like the Metro start menu or the apps, but it wasn't a problem either. Mostly, the Metro start menu was a nuisance. Overall, from Windows 7 to 8, the changes were mostly minor. Now that I have Windows 10 and have been using it for a couple of days. there are already a few new changes that I love. One of the most noticeable changes is the start menu. The Metro menu that most people did not like is gone. Instead of a full screen start menu, it's now merged in with the Windows 7 start menu. It's actually useful, as having the tiles is a simple way to access the most commonly used apps. This may be less beneficial to most users, but this is a feature that Linux has had forever. The ability for certain applications to be visible on different instances. I usage I had in mind for Multiple Desktops is various desktops for work, pleasure, etc. The shortcut key for this is Windows + Tab and Windows + Ctrl + Left/Right Arrow. I am surprised how fast and elegant this browser works. Oddly, Internet Explorer is still a browser choice, so I'm a bit confused as to why Windows 10 has multiple browsers. With that, I think Microsoft may be a bit too late to the game, as I'm fully integrated with Google Chrome. Overall, Windows 10 is a worthwhile upgrade. So far, I only see improvements upon Windows 8. 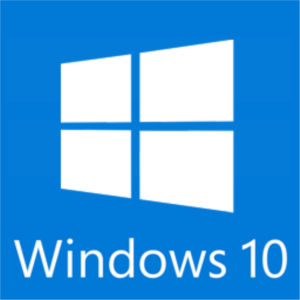 As I use Windows 10 more, I'm sure I'll unveil more features of Windows 10. But so far, good job Microsoft!